Shows the whole of the small san-sau form at its most advanced level. Showing Dim-Mak strikes and intricate movement. This is where we take the very effective street-wise method of Small San-Sau into its next level. 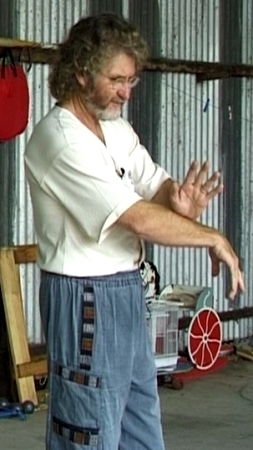 We learn about dim-mak point striking using this method as well as pressure to use to make it more effective and the direction of the strikes which is inherent in every movement anyway. This two person set is one of the best training methods for any martial arts system.